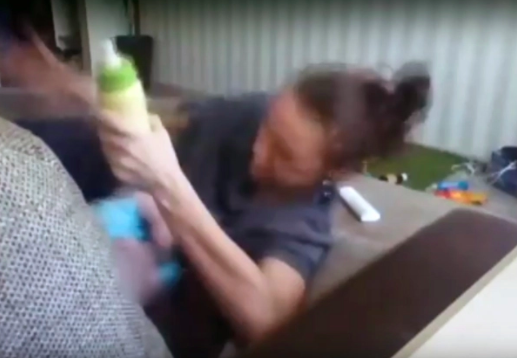 A young mum was left horrified after setting up a secret camera to film her son’s new nanny. 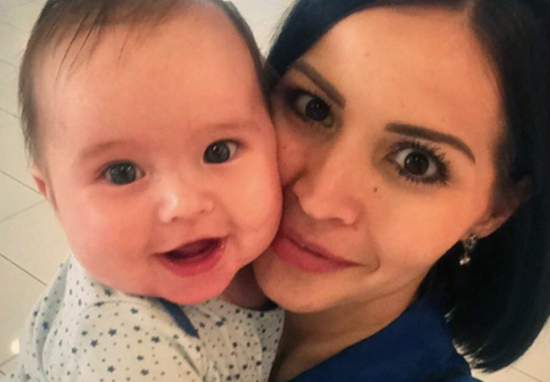 26-year-old Elena Levendeeva from Nefteyugansk, Russia became suspicious of 31-year-old nanny Anastasia Zhelyabova just one fortnight into her employment. Elena noticed how her eight-month-old baby boy would cry every day upon Zhelyabova’s arrival, prompting the worried mother to take action. Elena installed cameras in the house to check out what might be going on and on the very first day of filming, she captured some deeply disturbing behaviour of the nanny abusing the baby she was supposed to be looking after. Alarming footage showed Zhelyabova slapping the tiny child on the face and backside and dragging him roughly around the room. At one point, she picked up the child by his arm and tossed him to the floor. She also pinched his tiny nose to prevent his breathing as she fed him from a bottle, apparently angered he wouldn’t drink from it. 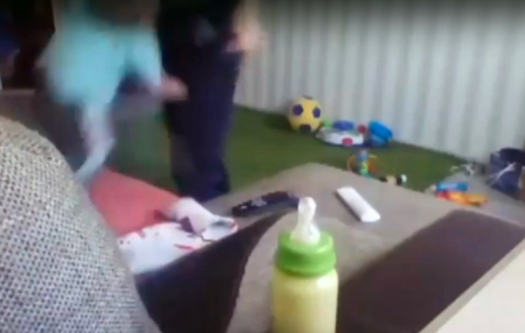 The family handed the incriminating footage of the little boy being abused over to the police. Due to frequent and continuous hysterical cries from our child we installed video cameras that recorded the beating and torturing. The investigation of the criminal case when the woman beat a small child is now over. [The nanny] beat the baby several times on his bottom and on the face, and she lifted the child and threw him on the floor. If she’s convicted in a court of law, then Zhelyabova may face up to 10 years in prison for charges of child cruelty. People from all around the world have been shocked by Elena’s nightmare discovery. Incidents like this make me feel physically sick!!! Here’s hoping other babies will be protected from cruel nannies such as this one.